While Williams-Sonoma, Inc. (NYSE:WSM) struggled to achieve any lasting share-price growth over the past few years, the company’s rising dividend delivered positive total returns on investment even over the trailing 12 months. Unlike many of the company’s competitors that were forced to cut dividends in addition to suffering falling share prices, Williams-Sonoma has boosted its annual dividend payout every year since initiating distributions in 2006. The company has beaten analysts’ earnings per share (EPS) consensus estimates for each of the past four quarters. Additionally, while the company’s current dividend payout ratio of 51% is slightly higher than the company’s own 44% five-year average, the payout ratio is still at the upper edge of what investors consider sustainable range. Therefore, the company’s dividend distribution payouts and its current streak of consecutive annual dividend hikes should continue in the near future. The chart of the company’s share price below indicates a drop of nearly 30% over the past five months, However, the longer-term price trend is not nearly as dire as the decline over the past five months indicates. Excluding the sharp rise between late May and late August 2018, as well as the even sharper decline by the end of December 2018, Williams-Sonoma’s share price traded relatively flat for the past two years. Furthermore, the share price has been trading generally in the $45 to $55 range since January 2016 and exceeded the $55 level only in the second half of 2018 – just 15% of the time in the past three years. Investors looking for sources of steadily growing income distributions should conduct their own research before deciding to add Williams-Sonoma’s to their investment portfolio. However, investors who find WSM’s stock future prospects promising should take a long position in the stock before the company’s next ex-dividend date on January 24, 2019. The company will distribute its next round of dividend distributions on the February 22, 2019, pay date to all shareholders of record before the company’s Jan. 24 ex-dividend date. Williams-Sonoma, Inc. operates as a multi-channel specialty retailer of various products for home. The company offers cooking tools, dining implements, entertaining products and a library of cookbooks under the Williams-Sonoma brand, as well as home furnishings and decorative accessories under the Williams-Sonoma Home brand. Additionally, the company sells furniture, bedding, rugs, curtains, lighting and tabletop and decorative accessories under the Pottery Barn, Pottery Barn Kids, PBteen and West Elm brands. 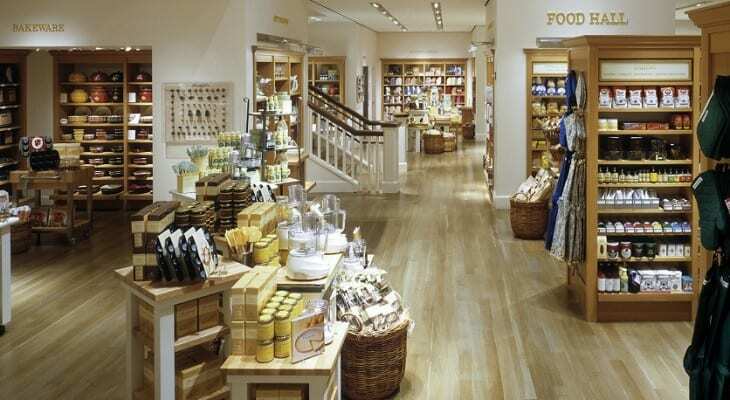 Founded in 1956 and headquartered in San Francisco, Williams-Sonoma, Inc. operates approximately 630 stores in 43 U.S. states, Canada, Australia and the United Kingdom. Additionally, the company operates 66 franchised stores and e-commerce websites in the Philippines, Mexico and the Middle East. Williams-Sonoma’s share price traded relatively flat in the first half of the trailing 12-months before spiking more than 35% to reach is 52-week high of $72.94 on August 23, 2019. However, the price reversed trend quickly, gave back all those gains and dropped to its 52-week low $45.54 by December 24, 2018. After bottoming out on Christmas Eve, the share price reversed direction once more and has gained more than 15% to close on January 16, 2019 at $52.48. This closing price was just 2.5% lower than one year earlier and 2% lower than it was five years ago. The company’s most recent dividend boost increased the quarterly payout 10.3% from $0.39 in the same period last year to the current $0.43. This new quarterly payout level is equivalent to a $1.72 annualized payout, yields 3.3% and is more than 23% higher than the company’s 2.66% five-year yield average. Since initiating dividend distributions in 2006, WSM hiked its annual dividend every year and enhanced its total annual payout amount 330% over the past 12 years, which corresponds to an average growth rate of nearly 13% per year. Despite the small share-price drop, Williams-Sonoma’s dividends managed to prevent shareholder losses and delivered a marginal total return of 1.3% over the past 12 months. The total return over the past three years was nearly 17%.